When a follower, listener, or friend cares enough to take the time to hand write a note of support my heart just melts. Maxine wrote to me that she hopes all is well with my family, that she has missed my podcasts these last few weeks, and she's looking forward to this week's show. Thank you so much for the kind words Maxine. And thanks to everyone for the well wishes. My mom is on the mend, cancer free, and feeling so much better. 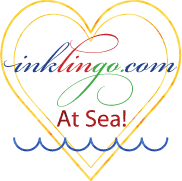 And speaking of hand written notes, this week on CQT podcast # 63 I'll be announcing the theme for my next Canadian Quilt Talk Postcard Exchange. Be sure to tune in to the podcast this Thursday at 4pm Pacific! For our Canada Day postcard exchange we had over 70 entries from around the world and for this Holiday exchange we want to shatter that number and break 100. I hope you'll join us. Fabric postcards are the perfect way to allow yourself some time for creative play and explore a new technique or idea you've been tossing around in your head. So stay tuned for all the details and be sure to sign up starting Nov. 1st, 2014. And now for the topic of this week's show - Halloween is just around the corner and I've been stewing a cauldron of last minute witchy ideas to decorate your home and bring your guests a smile. 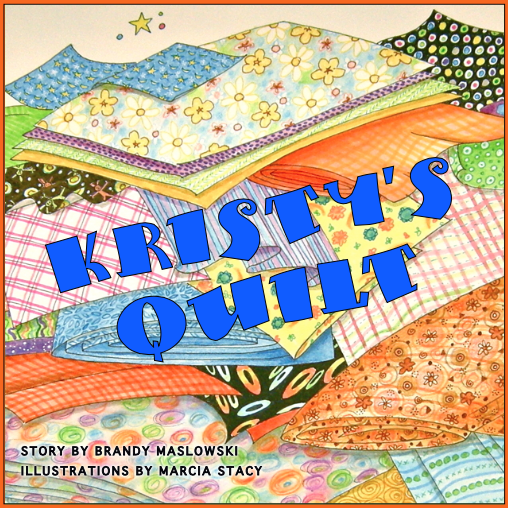 AND NOW THE WINNER of the Quilter's Corner segment - Eileen Emberger with a story of how her husband inspired a healthy round of laughter on his first visit to a quilt shop. CONGRATULATIONS Eileen! 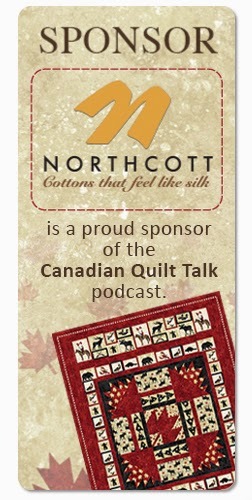 You have won a fat quarter bundle by Northcott Silks Inc. Northcott - cottons that feel like silk! As always, at the end of this week's episode, I offer up MY TWO STITCHES on adorning your house for Halloween.